How to draw cat. 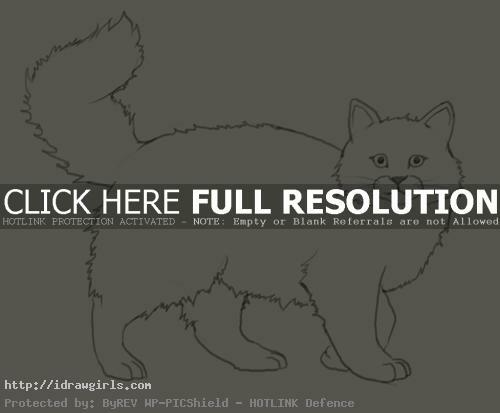 Learn to draw a cat step by step images along with basic drawing instruction. The domestic cat is a small, usually furry, domesticated, carnivorous mammal. Cats are similar in anatomy to the other felids, with strong, flexible bodies, quick reflexes, sharp retractable claws, and teeth adapted to killing small prey. As crepuscular predators, cats use their acute hearing and ability to see in near darkness to locate prey. Not only can cats hear sounds too faint for human ears, they can also hear sounds higher in frequency than humans can perceive. In this tutorial, we will draw a cat with full body. Most of animals and creatures are different in shapes and forms depending on their families. The best way to approach the drawing is identify simple shapes within the body. It will help to define the main parts of each animal by breaking it down. The word cat refers to a family of meat-eating animals that include tigers,lions, leopards, and panthers. Cats have five toes on each front paw, but only four toes on each back paw. Most cats have no eyelashes. Though cats have a full inner-eyelid, or nictitating membrane. This inner-eyelid serves to help protect the eyes from dryness and damage. When the cat is ill, the inner-eyelid will frequently close partially, making it visible to the observer. 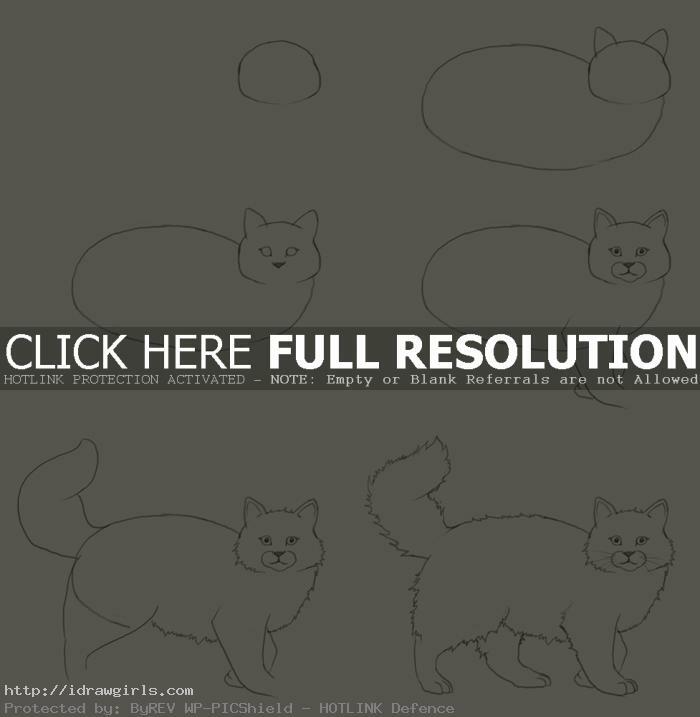 Below are step by step how to draw a cat. Step one, I drew a horizontal oval shape for a head. Step two, I added two pointy ears then a body. Step three, I drew both eyes and a nose. Step four, I sketch lines for front legs. Step five, I added hinds legs, tail and drew some fur on its torso. Step six, I finished the hinds legs then added fur to the rest of its body.